There are 10 steps to building a shed on your property. A storage shed is a convenient way to reduce clutter in your home, reserve your garage for vehicles and save thousands of dollars in storage rental fees. Plus, your extra items will be close at hand rather than across town in a storage unit. Whether your shed is a DIY project or you hire a handyman to build it, these are the steps required. This is a fun project in addition to giving you the benefits listed above. Here are the 10 steps to building a shed on your property. 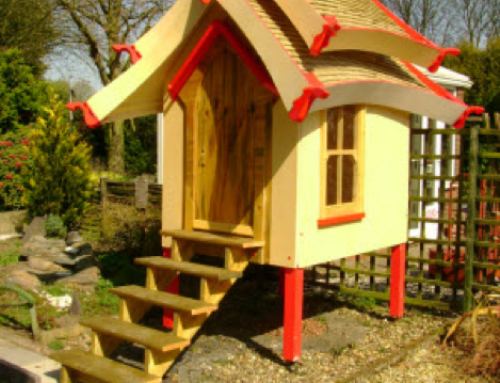 You have a huge range of shed sizes and designs from which to choose. 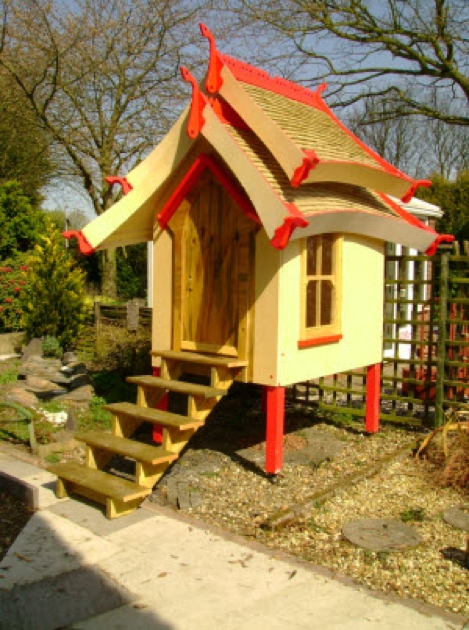 Shed plans are available at low-cost or no cost. 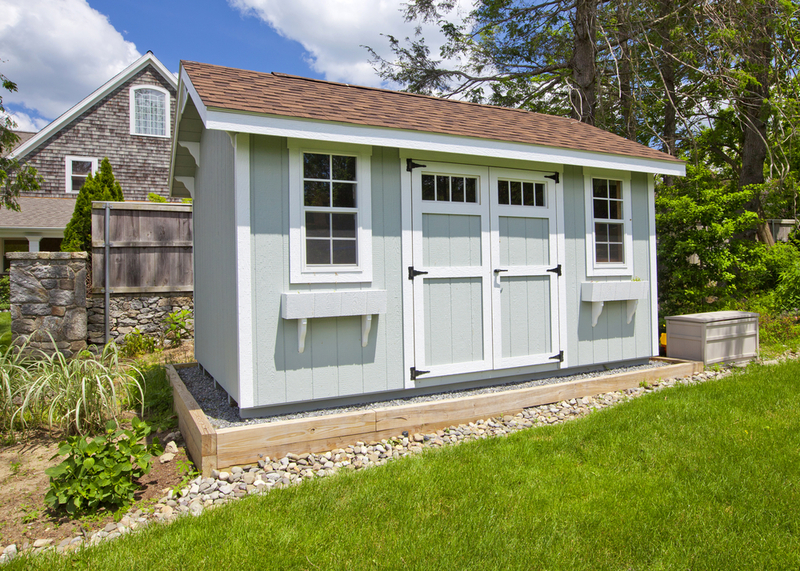 We recommend consulting a design pro at your local building supply store about your plan to build a shed. All the major materials supply chains have computers and software available that allow you to customize and visualize your shed design – length, width, height, roof, windows, doors, siding and roofing materials and other features. The programs are easy to use, and you can easily change shed details to see how the changes affect appearance. They will walk you through your size and design options and produce a materials list for the shed you choose. Most material suppliers will keep your materials list in their computer system for up to one year. Once you decide on the details, building plans and diagrams will be printed for your use. The drawings should be sufficient for your local building department and homeowner association. Sizes: Shed designs start at about 4×6 and range to about 12×24. After that size, the building is more of a barn than a shed. Height: Wall height ranges from 8’ to about16’ for the size sheds we’re discussing. The sheds can include a second story floor or be open for stacked storage or a tall vehicle like an RV. Doors: A single entry door is the simplest design for sheds that store small items. For housing lawn mowers, campers and vehicles or if used for furniture building or assembly, double barn doors and large sliding doors are needed. Roofing and siding: Common shed roof materials are asphalt shingle and standing-seam steel, but there are many other options. Siding can be vinyl, wood panel, wood plank, fiber cement, stone veneer or a combination of materials. Windows and Skylights: They are optional, of course. Adding windows and skylights allow natural lighting and really nice if you’re going to spend time in the shed. But windows are a security risk. You’ll have to make the window decision based on what you plan to store in your shed and the risk of crime in your area. Finish accessories: This is your opportunity to customize the design to suit your style. If you intend to install electrical (lights and outlets) or plumbing (utility tub, spigot for car washing or the garden) in the shed, a permit is required regardless of size. If the shed won’t have electrical or plumbing, then square footage is the issue. States, counties and cities set limits on how large a shed can be built without requiring a building permit. It varies from about 120 square feet (a 10×12 shed, for example) to about 240 square feet (12×20 or 16×15). When a permit is needed, the application will probably require a site plan. This drawing is also called a plot plan. It shows the existing property layout – where the house, driveway and other permanent fixtures are located – and where the proposed shed will be located. The purpose of the site plan is to show that the shed’s location will meet local guidelines. This means it will meet setback requirements, won’t cover a drain field or violate other local building code standards. The setback requirement ensures that any permanent structure is located a certain distance off the property line. The setback can be as little as one foot, but most are 10 feet or more. The best way to obtain a site plan is to contact our team of professional draftsmen. We use the latest technology to accurately draw your property. Your other option is to hire an engineer. If that is your choice, you can expect to pay five to ten times the cost. Note on HOAs: Many neighborhoods have homeowners associations (HOAs). Some HOAs regulate sheds. If you’re in an HOA, review its bylaws or talk with an HOA official to learn shed rules. Ignoring HOA rules can lead to hassles and costly legal battles. When your shed has been approved, it is time to order the materials. If you’re having someone else build your shed, have them to look at the shed design and the materials list to be sure there will be sufficient material including normal waste to build the shed you want. Once the materials list and the shed design match, order the materials and plan to pick them up or have them shipped to your home. Roof note: To frame the roof, your options are to hand-cut all of the members to form trusses or to order pre-built trusses. Your decision impacts your materials order. Hand-cut trusses cost far less, but take a lot more labor and knowledge of how to calculate angles. Trusses you order cost more but save labor, so speed up the job if you order them well ahead of the start date. We recommend ordering trusses for DIY jobs. If you hire a builder for the shed, then having the builder construct the roof framing (trusses) might be more cost-effective. Get material and labor estimates for both options. You might be able to install the shed floor supports without a poured foundation. Removing the topsoil is recommended to get down to sand or gravel, and the framing should rest on pre-fab piers or pavers. If your local codes require a concrete foundation, you will need to excavate and install footings for the foundation to rest on. Where freezing temperatures are common, your footings might need to go deeper, so they won’t be lifted and shifted by frost in the ground. Framing a shed means constructing the skeleton of the floor, walls and roof. Openings are created for windows and doors. Once you get to this point, things go fast. If you’re doing it yourself, framing a shed is fun and rewarding. Use the drawing to determine the materials, dimensions and spacing for the framework of your shed. If you’ve installed any type of foundation such as footings, a perimeter wall or piers, the frame of the floor must rest securely and accurately on it. This is a quick job when the openings are properly framed. If you’re heating the shed, add weather stripping to doors and windows for insulation and lower heating costs. Steps 6 and 7 can be reversed. Power to a shed makes it much more functional. You can install electrical outlets for power tools, cordless battery rechargers, space heaters and much more. Electricity allows for lighting too, which is a major upgrade over working or searching around in the dark. You will have to decide if the practical advantages of light and power are worth the $500 to $2,000 cost for the materials and the labor rate of a licensed electrician. As soon as the shed is framed, dry it in with a roof and siding. You have a wide range of choices, as listed above. A metal roof is the best value, with top options designed to last over 30 to 60 years. If you plan a short-term stay, then asphalt shingles make sense. Siding options for sheds can range from basic to premium. The cheapest method is nailing vinyl or wood siding directly to the framing. If you intend to heat the shed, then sheathing it with OSB and insulating the wall cavity before adding siding is preferred. Siding upgrades include cedar siding and stone veneer or a combination of the two. Wood siding will need to be stained and sealed or primed and painted. Many homeowners choose materials for their shed that match their home. The closer to the house you place the shed, the more this might be important. Neighborhood standards should also be considered. Note on skylights: If you are installing skylights, they must be set before roofing materials are installed. If topography determines that the entrance to your shed is elevated, building a ramp will allow you to move riding equipment in and out much easier. The top of the ramp must be attached to the shed and be level with the shed floor. The bottom of the ramp should rest on piers, footings or blocks. The topsoil is usually removed first, since it is soft and the ramp will eventually sink into it if left in place. Ask your material supplier for guidance on building a ramp. It’s not difficult if you have clear instructions and good experience with angles and power tools. Video tutorials like this one are available online. At this point, you have a solid shed that will keep everything inside secure and out of the weather. You’re done, if you want to be. However, this is also your chance to personalize the shed. Add a lean-to for keeping the tractor or firewood dry or to sit under on rainy evenings. Place flower boxes beneath windows for a colorful and fragrant exterior. Have a custom sign made like “Lilly’s Garden” or “Michael’s Man Cave” to hang outside near the door. Install hooks and racks inside for easy storage. These are just a few of many options for personalizing your storage shed to suit your style. Note: When you need a permit, you probably also need a high-quality site plan produced by professionals is essential. We deliver professional site plans starting at about $100. 24hplans is here to help. Contact us today at 347-708-0105 or use our convenient Chat option. Or order a site plan, and we’ll deliver a professional product that will meet the requirements for site plans in your county and state. Here’s how we can help: 24hplans has team of highly-trained, professional architects and drafters who can prepare any kind of site plan in the shortest amount of time possible, so that you can easily obtain that building permit and get on with your project. Use the promotion code: 24hplans-20off to get a 20% discount off any package. — Please note this is a limited time offer, exclusive to the readers of our blog. This offer is not being advertised anywhere else.